When she was 7 years old and growing up in Bogota, Colombia, Estefania Bohorquez ’17 would take little day trips 30 miles outside the city. She would walk through a passageway to a fascinating place more than 600 feet underground. There, she would look in awe at what is known as Zipaquirá Salt Cathedral. Bohorquez wasn’t there for photo ops. She was there for her own curiosity, a trait deep in her DNA that would eventually lead her on a journey beyond her wildest dreams. The quest for answers has taken Bohorquez on life-altering experiences from Bogota to Orlando to Italy to Germany, and to a hospital bed from which she learned about her next stop: Washington, D.C., where on March 1 she will be presented with a 20 Twenties Award from Aviation Week and the American Institute of Aeronautics and Astronautics. As the name implies, the prestigious award recognizes the 20 most promising future leaders in the aerospace industry. 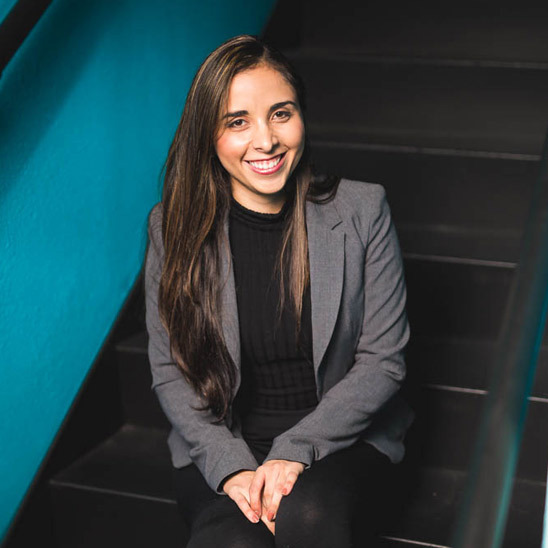 Bohorquez was nominated partly for her academic achievement but mostly for her field work, including a collaborative project in Cologne, Germany, between the German Aerospace Center and UCF. The objective was to search for materials that can sustain extreme physical and mechanical environments applicable to hypersonic and reusable space vehicles. Impressive stuff. So much so that Bohorquez is the only person from the state of Florida to earn the 20 Twenties Award and the achievement will put her on stage with Ivy Leaguers and students from universities like MIT and Cambridge. Bohorquez is the only person from the state of Florida to earn the 20 Twenties Award and the achievement will put her on stage with Ivy Leaguers and students from universities like MIT and Cambridge. To her, a title is too limiting. What Bohorquez really wants is to create an ultra-niche, combining all of her interests into something like this: artist, archaeologist, structural engineer, and the ultimate — space researcher. Yes, she sees the journey that she unwittingly embarked upon during underground outings as a little girl soon reaching heights we’ve never seen. What Bohorquez really wants is to create an ultra-niche, combining all of her interests into something like this: artist, archaeologist, structural engineer, and the ultimate — space researcher. Bohorquez didn’t realize it at the time. But when her dad took a job in the Orlando area (he’s a mechanical engineer, her mom is an electrical engineer) when Bohorquez was 12 years old, the family was relocating to a place where they could watch the extraordinary from their new backyard: Rockets launching from Cape Canaveral. There was a moment, however brief, when the journey did stop for Bohorquez. Around the time she was visually dissecting the Salt Cathedral in Bogota, she also had a fall while playing in a park, injuring her knee. The problem with the ligaments lingered for years. 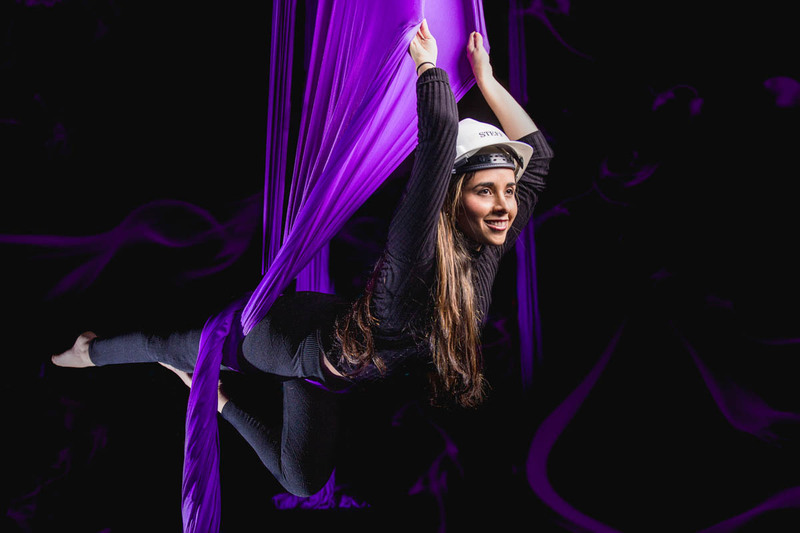 Bohorquez even took up aerial silks (like doing gymnastics while hanging from a ceiling-to-floor curtain) as a way to strengthen the muscles around the knee. Finally, on December 20 of last year, she relented to surgery. While in recovery, she would glance at her phone to take her mind off the pain. That’s when she saw the text from Aviation Week about her honor as a 20 Twenties honoree, a direct result from her field work in Germany. And that is why, when Bohorquez thinks of a job, she doesn’t think of it in a way that can be explained. What she sees is a combination of art and technology. It’s the past and the future. It’s discoveries under Earth’s surface and far above it. Specifically? She wants to help develop structures in space, but also the aircraft that will get us there. And while she’s at it, she sees all of the advances “out there” helping communities recover from natural disasters right here. Bogota. Orlando. Italy. Germany. Washington, D.C. For Estefania Bohorquez, the journey is just beginning. And there are no boundaries. In observance of Women's History Month, UCF Today is featuring students, faculty and alumni who are making an impact. Through their contributions, these individuals are fostering change here at UCF and beyond.